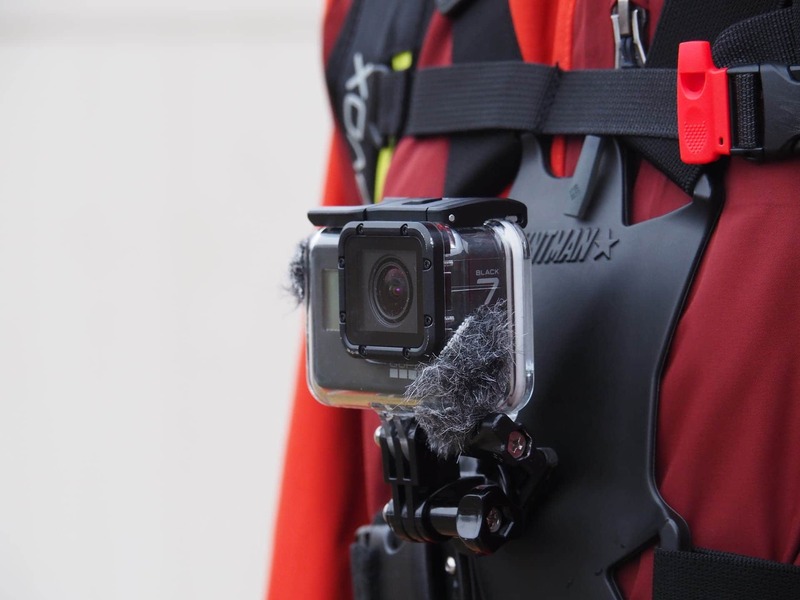 The GoPro Hero 7 Black was released in July 2018, but we just recently decided to upgrade. We’ve had our GoPro Hero 5 Black for a couple years now and that was the first GoPro we have ever owned. We bought the GoPro because we wanted to be able to film hiking, skiing, biking, swimming, etc. since we moved to Utah and do quite a bit of outdoor sports and traveling. Keith was constantly working to improve the stability of the footage shot on the Hero 5 while skiing and mountain biking. He improved the stability of his backpack and chest mount through various adjustments and worked on his skiing technique to attempt to smoothen out rough terrain. 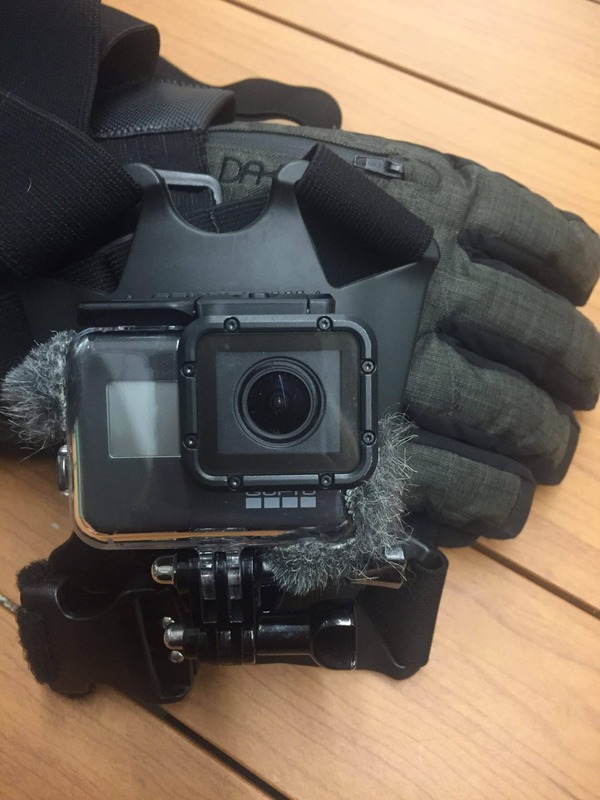 However, it reached the limit of what he felt could be done with the Hero 5. Why the GoPro Hero 7 Black? The Hero 5 was a great first camera for us and we’ve learned quite a bit about filming in the last two years. As our filming and editing skills have been improving, we felt that the enhancements in stability and the HyperSmooth feature within the camera itself were worth the upgrade. Our setup for the Hero 5 included the Zhiyum Smooth Q gimbal. This was a huge improvement in stability when we first starting using it and gave us leaps and bounds of improvements in creating videos. 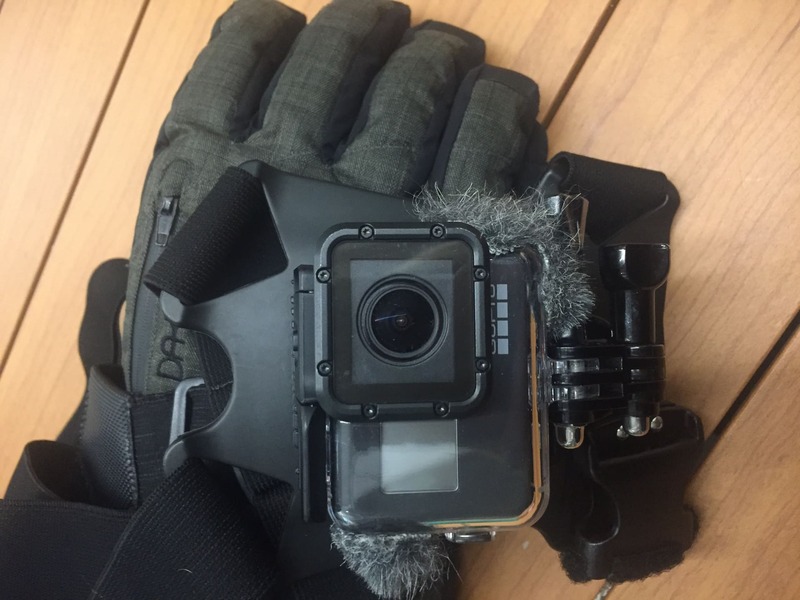 However, the addition of the gimbal did not help us with ski videos since you aren’t going to use this type of gimbal while skiing (or at least we weren’t). As time went on and the novelty of the gimbal wore away, we found its limitations and the actual larger size of the set up become cumbersome to us. We actually just bought the DJI Osmo Pocket that we’re excited to use for hiking and traveling. The combination of the two cameras should give us everything we were looking for and so much more. Was it worth the upgrade? Absolutely! The stability and HyperSmooth feature of the Hero 7 has been a significant jump in video quality and enjoyment of watching the completed videos. Immediately we saw the visual improvements; no more shakiness, vertigo sensation, etc. This is especially apparent in the skiing and mountain biking videos we have created since buying the Hero 7. We’re excited to see what else it can do while enjoying other outdoor activities and traveling. We ordered the camera and were super excited to put it straight to work. Keith and I had a beautiful day at Snowbird to test it out. We were able to see the capabilities of the Hero 7 in the early morning mountain shadows, the bluebird sunny skies in the afternoon, fast speed groomed runs, technical mogul runs, small jumps, etc. Keith was ecstatic with the results! The Hero 7 seemed to excel in all the conditions and we were blown away by the stability of the footage while maintaining the feel of a raw action sports shot. Keith also couldn’t rave enough about the new TimeWarp feature. He shot several TimeWarp videos while riding the chairlift which resulted in a buttery smooth time lapse, requiring no post processing! Be sure to check out our YouTube Channel, Keith and Lindsey, for more skiing videos! Keith found the same issues with stability while filming mountain biking videos as the skiing videos. The footage just wasn’t stable and using the gimbal wasn’t going to work. He has only filmed with the Hero 7 once, but check it out for yourself and see what you think! Again, Keith was quite pleased with the HyperSmooth footage with the Hero 7 while mountain biking. Keith and I are really happy with our upgrade to the Hero 7 Black! 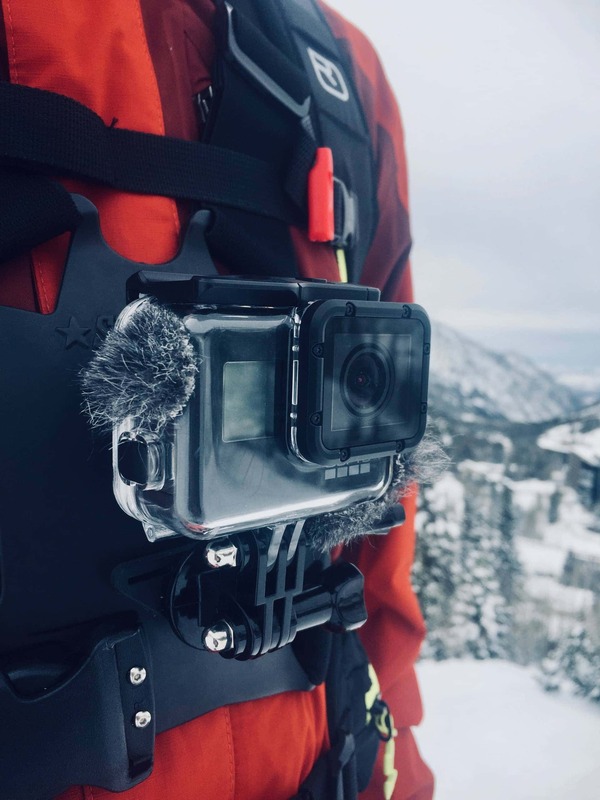 We love the HyperSmooth and TimeWarp features, the audio is somewhat better, it’s compatible with our accessories, has worked great for skiing/mountain biking and best of all, we don’t need a gimbal for travel videos! We have filmed one travel style video so far with the Hero 7. One improvement we would like to see is a better battery life in the cold. Depending on the temperatures, the battery life can drop drastically. We have already seen the battery last as little as 30 minutes in temperatures in the low teens, with wind. Once the battery warms up a bit, like when we are inside for lunch, the battery life resumes at a normal rate. Realizing this is a typical battery issue and difficult to solve given the composition of the battery, it’s our only complaint. 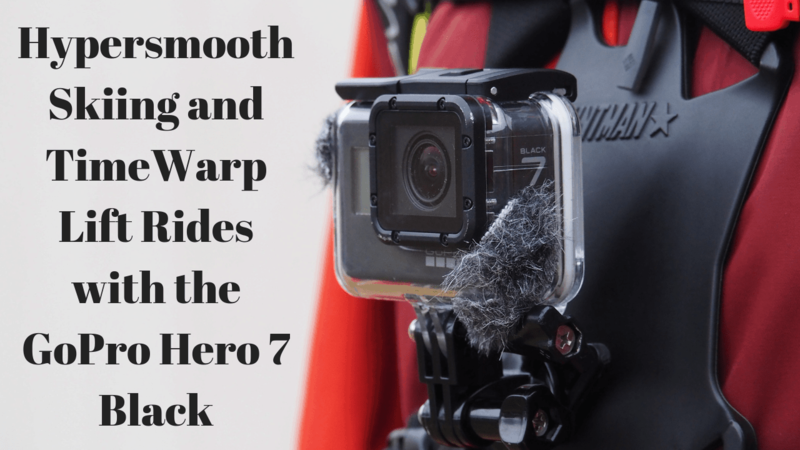 Have you purchased a GoPro Hero 7 Black? How do you use it? What are your thoughts on the camera?